It is widely known that one of the best investments an individual can make for their health is to take part in physical activity or exercise on a regular basis. This is not revolutionary advice and engaging in physical activity, like going to the gym, isn’t a new concept. Everyone can choose to live a healthy lifestyle and yet some are finding that societal attitudes are creating barriers to including people with intellectual disabilities, for doing exactly that; making that choice. Obesity is a significant problem with associated health risks for the general population and physical activity is one of the most common dimensions to maintaining a healthy weight and overall wellness. 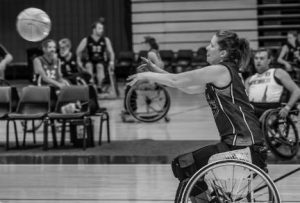 However some societal assumptions suggest there must be ‘exceptional circumstances’ for individuals with an intellectual impairment who want to better themselves by going to the gym, and that their trainers are somehow ‘inspirational’ for helping them. Co-founder of Movement Innovation Team, Luke Nivision-Smith, is determined to change those attitudes. 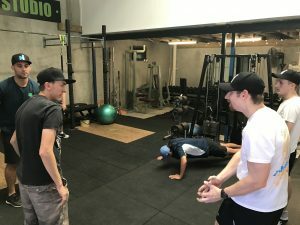 He established his training facility in September 2017 with the aim of to providing the community with education on health and fitness in an inclusive space for all members in the Gold Coast to train in a safe, motivational environment. Luke has experience working with Gold Coast Rec and Sport to provide people with intellectual impairments the chance to learn how to navigate their way around the gym and become educated on making healthy food choices. 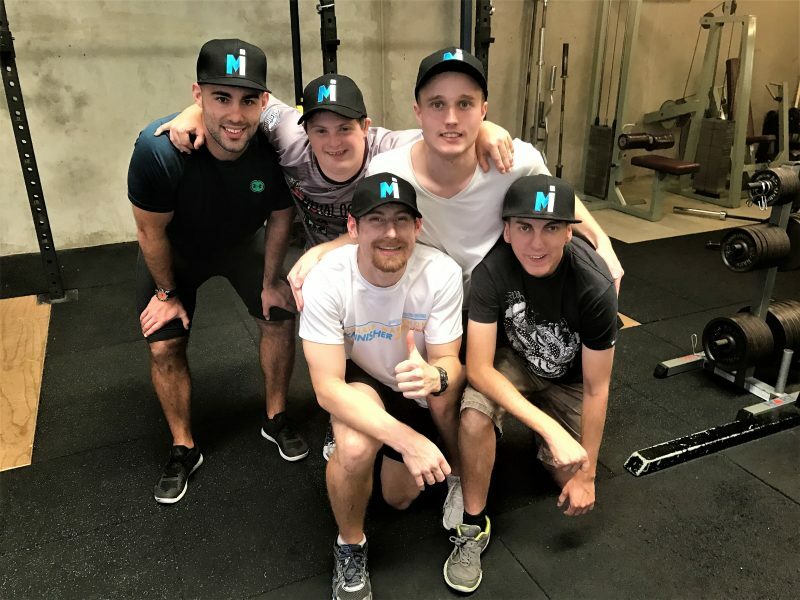 “I work with Gold Coast Rec and Sport and run bootcamps with the team who have various intellectual impairments, as well as one-on-one personal training to reach specific goals for sports such as swimming,” Luke said. 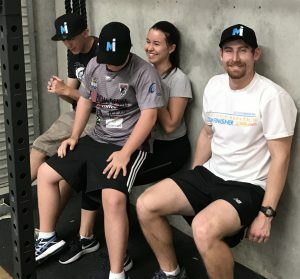 “I used to run the classes through Fitness First before I opened my own gym and I remember a woman coming over to one of the rec and sport guys during a class and saying ‘it’s really good that he’s doing it for the disability guys; it’s so good to see him driven like he’s got a disability himself’. 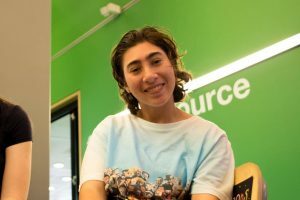 “The woman viewed me as inspirational for simply doing my job with individuals who choose to be there and pay for classes just like everyone else. 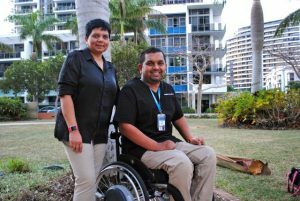 Anthony Fray of Gold Coast Rec and Sport agrees that there are certain attitudes that stop inclusion in the health and fitness industry and believes each individual should be treated with respect to make their own choices. “We’re all humans and these guys shouldn’t be treated any differently to anyone else who wants to come and train in the gym,” Anthony said. Too often disability is represented in the media in a way that does not allow individuals themselves a voice. 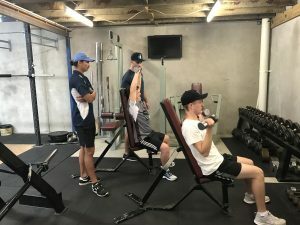 The importance of that drove my research after I was invited by Luke and the team at Gold Coast Rec and Sport to come and train with the group. Eager to listen to each individual’s perspective, I spoke with every member of the group and asked why they go to the gym. Each individual gave a response such as ‘I want to be healthy’, ‘I want to grow muscle’ and ‘I like training with Luke [sometimes]’ and how they ask Luke about healthier food choices in between sets. It was only after I introduced myself to one of the members, Jackson Ross, that I became conflicted when I realised my own assumptions. After speaking to Jackson about his thoughts on the gym I noticed he wore a white t-shirt that commemorated his completion of the 21km Gold Coast Half Marathon. Astounded I asked him if he ran the half marathon himself and to my surprise he replied ‘yes, I like to run’. After thinking to myself ‘wow that’s incredible, good for him’ and telling him how ‘awesome’ I thought it was that he ran the half marathon, I realised that it was the exact attitude that I had come here to break. I wouldn’t have been so surprised had someone without an intellectual impairment ran the half or the full marathon. It’s only after that moment that I became aware of my own assumptions and as a result, I began to break down my own barriers. Exploring this perspective further I spoke with Jackson’s Mum, Margaret Sponberg, who believes that the surprised, yet positive reactions of members in the community aren’t necessarily a negative thing and that parents like herself do not take offence. 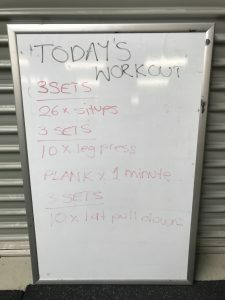 “I as a Mum, don’t get offended by people who might look and make comments like ‘gee how great is it that they’re here pumping iron’ and ‘wow the trainer is doing a great job to help them focus’, Margaret said. “I think a lot of people with an intellectual impairment really like to be praised and the more they are praised and acknowledged for doing a positive thing, it encourages them to continue participating in the gym programs. Margaret believes the 21st century is a turbulent time but says society is repositioning its views, albeit slowly, on many different issues. “I believe that as a society we are becoming more inclusive of many different groups within society. But we can’t expect it to happen overnight,” she said.